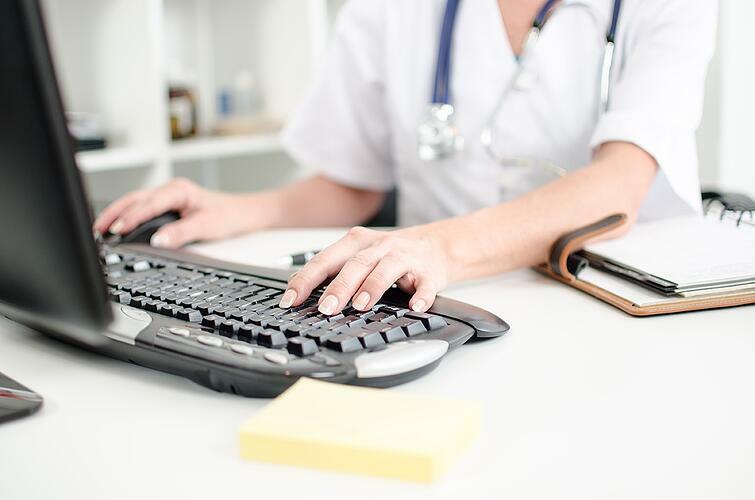 According to a recent national provider survey, National Perceptions of EHR Adoption: Barriers, Impacts, and Federal Policies, 94 percent of providers report that their EHR platform makes records readily available at point of care. In particular, the use of handheld diagnostic and reporting devices has garnered much support within the medical community and demonstrated an ability to improve the quality of care. Within the world of EHR technology, the push for standardization has taken hold. Industry experts suggest that prioritizing a common language that can be transmitted and read across the various proprietary systems will help avoid potentially life-threatening miscommunications. Much of the difficulty of modern medical care has to do with the provincial nature of the various aspects of care. From medication to physical therapy to insurance and beyond, these aspects are all explicitly interwoven, yet too often, existing technology complicates communication between the parties responsible for them. Effective EHR can bring disparate resources together and help them to all work in harmony. The key to getting increased value out of EHR systems as applied to clinical care lies in creating a fuller picture of treatment. This goes beyond simply reporting disparate outcomes, but instead involves doing things like creating a narrative related to patient history, setting allergy notification prompts for use in unconscious or unresponsive patients, as well as cataloging operational and safety issues for administrative purposes. Part of the benefit of using an EHR system is that it offers more than simple historical applications — it can function predictively. Patients prescribed a certain medication can have refill requests automatically generated and sent to providers. Patients who haven’t filled their prescriptions can have alerts that prompt providers to check in, avoiding potential health complications. The modern world — patients, providers and medical institutions included — exists on social media. Bringing clinical care into the digital age can also help improve engagement and treatment retention. Between 70 to 75 percent of people in the U.S. turn to the internet when looking for healthcare information. By taking control of a social media stream, medical care providers can more effectively deliver resources like public health information and health tips, while measuring patient satisfaction in real time. Beyond simply operating on a patient-by-patient basis, the power of an EHR system is in the parsing of data on a larger scale. Without compromising specific patient privacy, your EHR system can tell medical professionals about trends having to do with certain diseases, risks and the efficacy of specific treatment measures. In all, EHR systems put more control and insight into the hands of providers and reduce the distance between patients and professionals. This can create a higher quality of care, customized to the specific needs of patients.